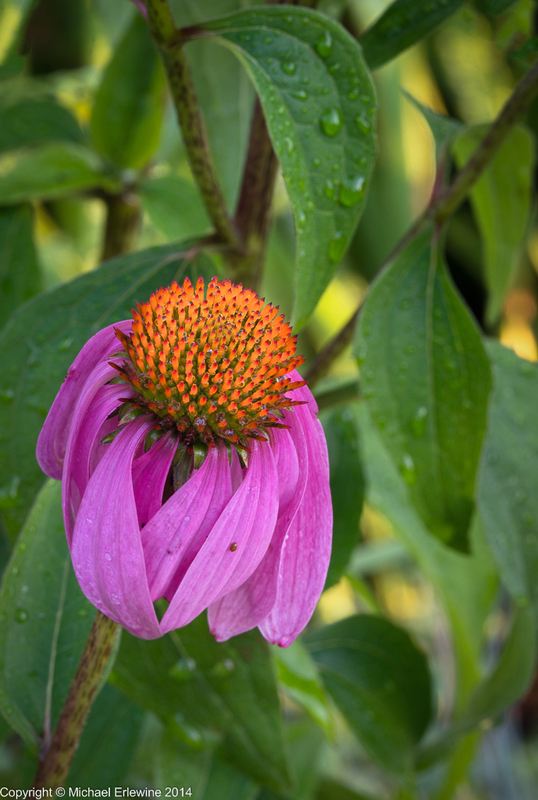 Photo taken around my yard in the last day or so of a Coneflower (Echinacea), an herb my family and I take to ward off cold and flu symptoms. As for me, I have mostly recovered from having my back go out.. Of course, every time something like this happens, I rearrange my priorities and re-plot them on the map of my life. I am a perfect example of what I have written about lately, the ups and downs of cycles. When I get ill as I have lately, most projects grind to a halt, and I put on hold whatever I have been laboring at. In the interval of healing, some of my projects get dropped or at least morph into yet another form. That is true now, as well. It is yet early to spell out where I stand, as I am still taking an inventory of my current initiatives. One thing that does stand out is my interest in the dharma, implementing it in my own life and sharing it with anyone else interested. Unfortunately I only know a very small part of dharma training, but fortunately that part is the beginning steps, where most of us just starting out happen to be. Anyway, I am sorting out my options and, as usual, I will re-double my efforts on them, but perhaps in a more limited area, at least until the next wave of feeling-high comes along, in which, of course, I will bite off more than I can chew. Right now it is all about learning to use the natural cycles of life to move forward and not be dragged backward.